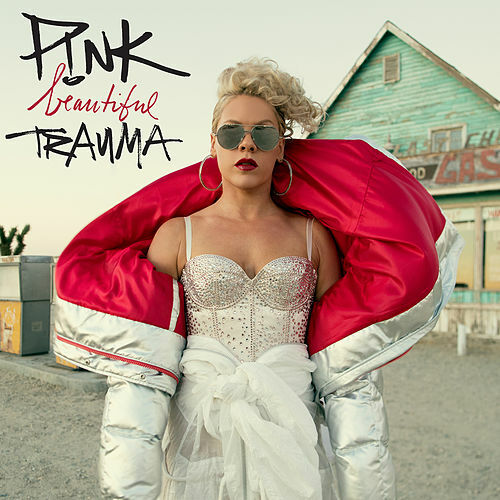 Though much of it tends toward the sometimes somewhat ponderous show-tune piano shemo of her previous couple albums, P!nk’s seventh longplayer since emerging from suburban Philly still flaunts her toughness. She messes up while messing up hotel rooms (though she prefers a verb starting with “f”) in the pill-fueled title opener; hits rock-bottom so she doesn’t fear Hell amid African-like rhythms and chanting then global gospel backup in “I Am Here”; moves from more African guitars to four-on-the-floor interruptions in “Where We Go.” “Whatever You Want” has a curiously decorous Eminem rap verse, the Lordesque hit “What About Us” has a vaguely political subtext, “Secrets” stomps like Lady Gaga. And when P!nk’s not wishing she could be back playing Barbies in her childhood bedroom, she’s asking where love goes to die — and where we all go after we do.